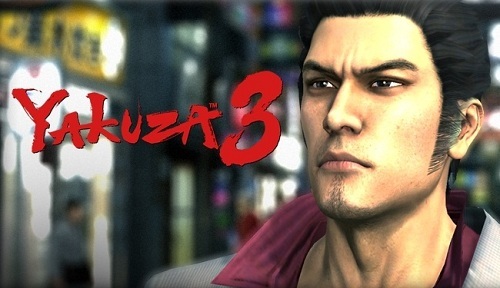 Three Yakuza play Yakuza 3. Kazuma’s shirt is ridiculed. This is exceptionally cool. BoingBoing.net currently have up an article from intrepid crime reporter/author Jake Adelstein (I WANT THIS JOB AND/OR NAME. That’s just an incredible line to introduce yourself with) who contacted a few of his friends in the Japanese gangstering business in order to conduct an experiment. Just what would Yakuza think of Yakuza? The results are pretty surprising, with mixed reactions to Yakuza stereotyping, as well as almost unanimous praise to the consumption of foods affecting how well your energy increases. I wont spoil any more because it isn’t terribly long and it’s absolutely worth digesting the whole thing yourself. Not all the reviewers actually finished the game, but I’m not going to say anything critical because they are Yakuza and I am not Jake Adelstein. I also need my fingers, for the reasons why they weren’t able to finish the game. Whoa, Deja Vu! I totally didn’t post something similar at approximately the same time! They sure told SEGA USA. I was totally gonna post this. DARN YOU! Also, just for the Yakuza fanboyism factor, I’m totally going to Kabukicho during my Tokyo trip!